Prenatal refers to the season of pregnancy. The care given to a pregnant woman during this period is referred to as Prenatal care and here we’ll cover the basics of what you need to know to get started. Prenatal care should start as soon as you discover that you are pregnant. You can receive care from a Midwife, Family Physician or an Obstetrician. Your choice of the care provider is really determined by your needs and care preferences. If you have any special medical needs, your care provider will liaise with a specialist on the management of the situation. If under care of a Midwife and a Caesarian section is needed, the Midwife will refer you to an Obstetrician for that. Good Prenatal care helps keep both mother and her baby healthy through out the pregnancy. A healthy pregnancy promote a healthy birth. The support given to the mother during her pregnancy, allows her to nurture her baby. Prenatal care helps reduces the risk of pregnancy-related complications. You will see your Midwife or doctor several times during the pregnancy. The number of visits can be increased or decreased depending on your medical history, age, yours or your baby’s health. It is recommended that you schedule at least four visits. At every visit, your Midwife or Doctor will check you and your baby using certain parameters that guide them to ensuring that you are both well. These parameters include, a physical exam, weight check, a urine test, blood pressure check and some blood and imaging tests depending on the stage of the pregnancy you are at. Any concerns on the mother’s or the baby’s health, and any questions about the pregnancy is also discussed. Generally, Midwives tend to focus more on your wellness and may chat on other areas of your life that involve your preparation for birth and parenthood like family, work situation, lifestyle habits, disease prevention and avoidance, diet, exercise and rest. Depending on the state of your health, your care provider may prescribe supplements or treatment for any illness discovered during the check up. Make the most out of every visit, discuss your questions and concerns with your care provider. In between visits, keep a list of questions and/or concerns to discuss at your appointment. Be involved in your care; understand your baby’s growth and your state of health at all times. 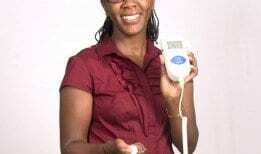 Visit Eve’s Mama to learn more about prenatal care from Lucy Muchiri.